Kenneth Johnson, creator of the 80s sci-fi classic television series V is set to write and direct as the franchise becomes a feature film with the newly revived Desilu Studios. The new project is being called V the Movie and will be produced by John Hermansen and Barry Opper, but no cast nor release date have been determined as of yet. The franchise began as a two-part miniseries on NBC in 1983, telling the tale of an reptilian race of alien invaders who disguised themselves as human. Many fell in line quickly under their new overlords, but other resisted and a group of rebels formed to fight back. This, of course, was a good idea as it was later determined that the aliens weren’t there to help humanity, but rather prepare them to be eaten. 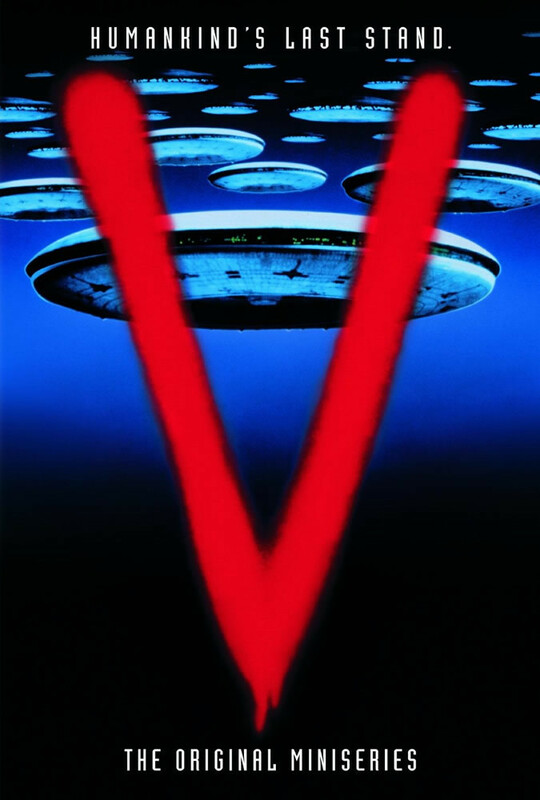 The extremely popular miniseries lead to a sequel in 1984, V: The Final Battle and an on-going series in 1985, V: The Series. While the on-going series didn’t last long (one 19 episode season), it did lead to a reboot in 2009 that last two short seasons, a total of 22 episodes. We are delighted to team up with Desilu to bring the timeless — and timely — story of resistance against tyranny into the 21st Century. V will be the first of a cinematic trilogy which will tell the full epic tale in the manner I always envisioned. Some of you may be scratching your head at this being done by Desilu Studios, either you’ve never heard of them or figured they were long gone. Desilu was started in 1950 by Desi Arnaz and Lucille Ball and quickly rose to being the largest independent television production studio in the US. Ball bought out Arnaz in 1962, ran the company herself for a while and then sold it to Gulf + Western where it became the television wing of Paramount Pictures. The Desilu television library was bought by CBS, but the brand was picked up by Charles B. Hensley and relaunched in late 2017 as a new studio. Though you may think of Desilu for the comedy classic I Love Lucy, but it was also the studio home of the original Star Trek… so them starting out with a sci-fi film makes sense. [2018 Westminster Dog Show] Dog Show Confidential!